Adorama is now selling its own version of the Godox AR400, a self-contained ring flash system. Adorama is now selling its own version of the Godox AR400 ring flash. The Flashpoint Ring Li-On (Li-ion, surely?) is a 400Ws flash that — unlike some high-end devices that require external power packs — is an entirely self-contained system, powered from an internal, user-replaceable lithium-ion battery. Power control is from full to 1/128 of full output, with an LED modelling/video lamp (with three intensity settings) also built in. 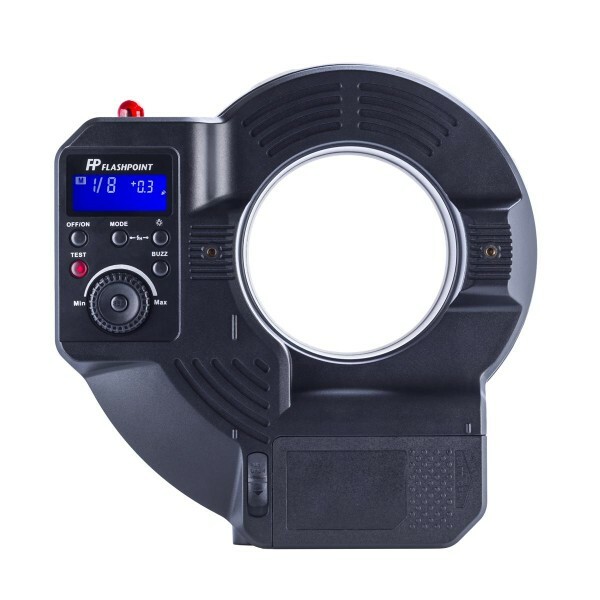 You can poke your camera lens through the middle of the flash for the traditional ‘shadowless’ ringlight effect, or you can mount the Ring Li-On on a light stand and use it remotely. Its round shape means it can give particularly even illumination in studio umbrellas. The device is compatible with the Flashpoint Wave Commander flash triggering/control system and also features an optical slave cell. The recycle time is between 0.05 and 2.8 seconds and the battery supports up to 450 full power flashes from a single charge. You have a range of mounting options depending on whether you want to use the Ring handheld, on a tripod or on a light stand. 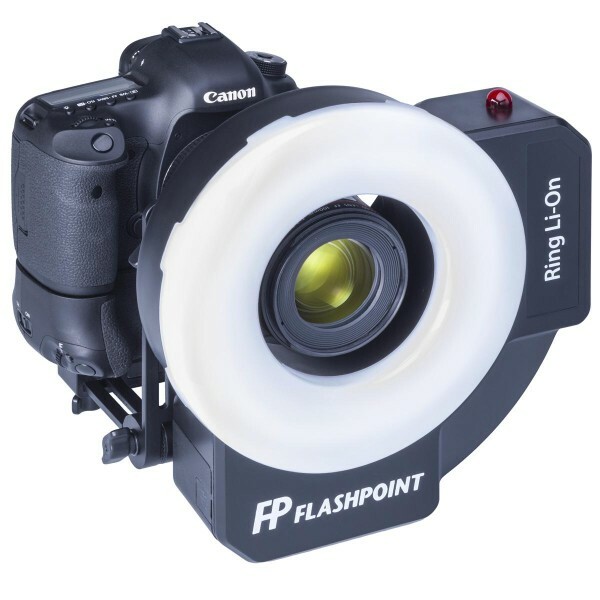 The Flashpoint Ring Li-On is available now from Adorama for $499.95. In other markets it is sold as the Godox AR400 or under other brands.